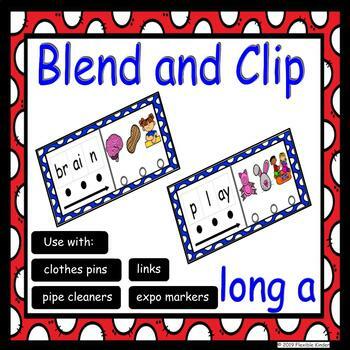 This product includes 16 long a cards (8 ai and 8 ay) for student to practice blending. The cards are included in both colored and black and white versions. As well as with circles low enough to be hole punched for pipe cleaners/links and centered for use with expo markers/clothespins. Each card has dots below each letter or pair on the left and an arrow to aid in blending. In addition, each card has a picture that begins and ends with the same sounds as the correct answer (with an exception or two but very limited). For example, for the blending card nail the images include not only nail but also leaf and night. 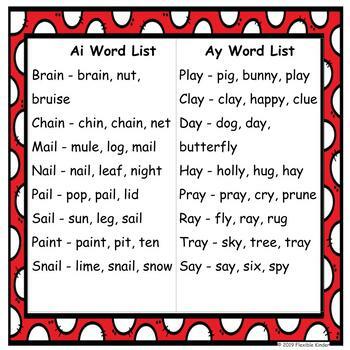 These choices were made to ensure students are blending and not simply looking for a picture that starts or ends with the letters.